Could it be the missing link in your unresolved issues? Come hear Donna speak on a how this new therapy has dramatically effected her health and how she is using it to support her recovery and healing process. Seats are limited…to RSVP, please email us at frontdesk@purenwell.com; or call 844-787-3935, Ext. 1. Bring a friend and be eligible for a drawing for a free 50 minute massage. 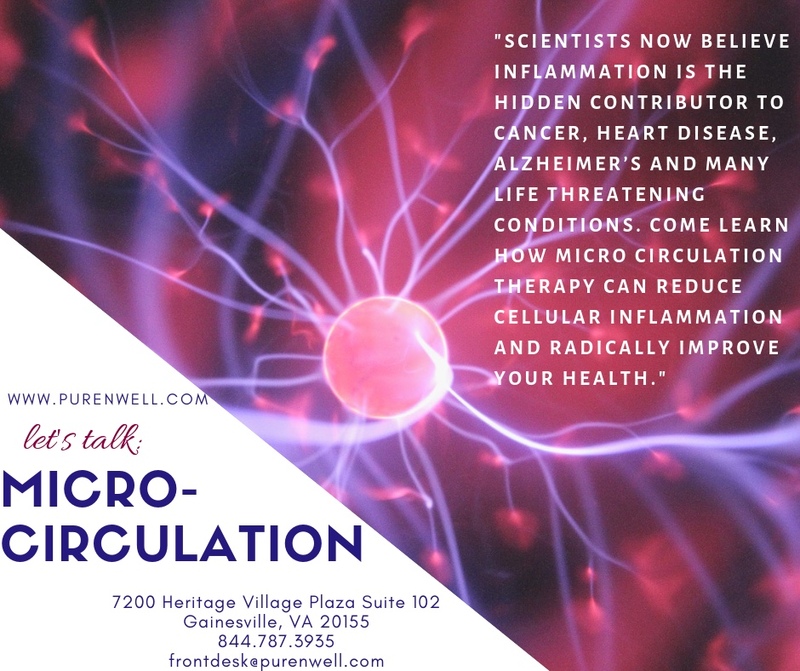 We will begin offering Micro-circulation in our office starting February 12th…call us at 844-787-3935, Ext. 1 for more details about this amazing therapy! Will we see you Wednesday evening? One Size Doesn’t Necessarily Fit All…. How to Love Your Heart ….